All Brush Prairie homes currently listed for sale in Brush Prairie as of 04/25/2019 are shown below. You can change the search criteria at any time by pressing the 'Change Search' button below. If you have any questions or you would like more information about any Brush Prairie homes for sale or other Brush Prairie real estate, please contact us and one of our knowledgeable Brush Prairie REALTORS® would be pleased to assist you. "Luxury Custom Home with unobstructed Panoramic Views. Main House: 6,330SF 5 Bedrooms with Full Apartment, 4.5 Bathrooms, & ADU:1800SF 3 Bedroom/1.1 Bathrooms. Gourmet Kitchen with SS Appliances/Slab Counters. Formal Living & Dining Room. Theater Room. Outdoor Living & Kitchen. Indoor Salt Water Pool. 2 Laundry Areas. 14 Car Finished Garage. 25 Min to Airport. Hockinson Schools. Meticulous Original Owner, Loaded Home! 3 Living Areas!" "Mulit-generational, room for all home! Close to shopping Portland Airport with a Brush Prairie address. Extraordinary, breathtaking views! Generous space in every room provides easy living, all on one level. Two Master Suites, 5.5 baths, two fireplaces, gourmet kitchen and much more, including spacious patio, deck, and additional 2600 sf bonus space and RV garage." "Magnificent Custom Home in Summer Hill unbelievable craftsmanship & unsurpassed attention to detail. 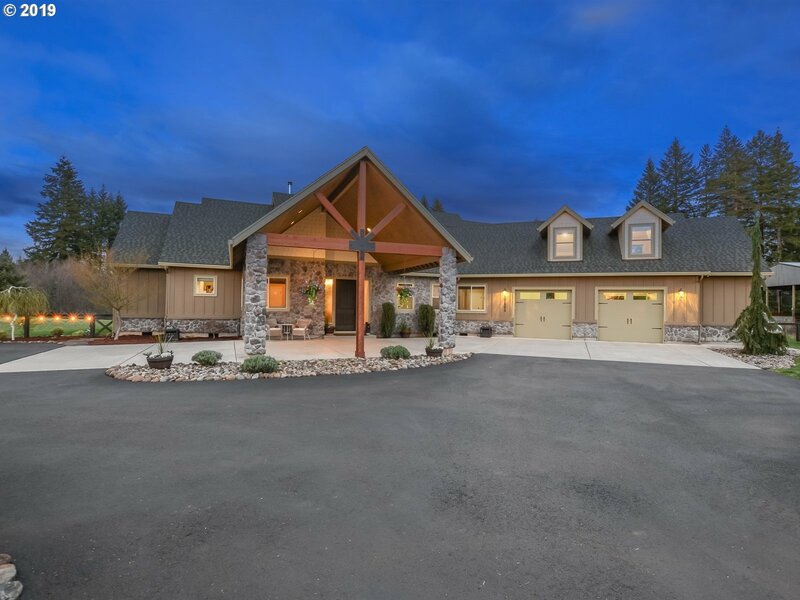 10' Knotty Adler Doors soaring cedar beam ceilings, floor-to-ceiling windows, gorgeous hardwood floors & built-ins surrounding stone fireplace makes this the heart of the home. Gourmet kitchen SS appliances, granite island w/seating. Luxurious main floor master retreat w/fireplace. Enjoy views from covered patio or deck w/water feature." 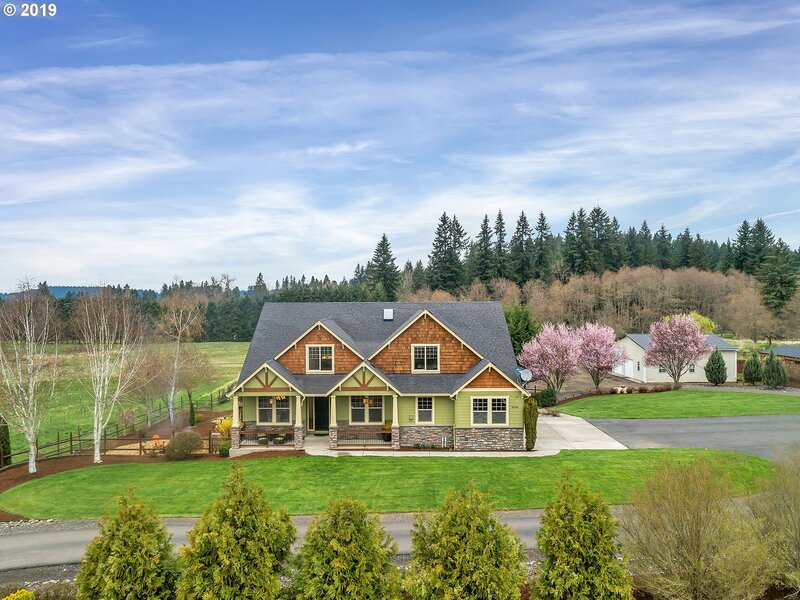 "Magnificent close-in Hockinson English Estate stone & exposed beam construction overlooking 5+ acres of rolling grounds w/ pond & spotted w/ firs & glowing maple trees. Abundant entertaining space w/ gourmet kitchen opening to fireside lounge & large deck welcoming the evening sunsets. Master on main w/ upper bonus plus lower game room. Lower level offers potential in-law quarters. Large shop for workshop or horse stalls." "This Home is truly one of a kind, one that must been seen to experience. A landscaped paradise w/ exotic conifers abound w/ something always in bloom. Home has nearly 5000 sq ft and features a huge kitchen and large island w/ tons of storage throughout its open layout, mini bars upstairs and down. Gorgeous master bedroom w/ views and updated master bath. Several outbuildings, artistic cabin with breathtaking views! A must see!" "Blissful country living on 5+ acres in Brush Prairie in newer custom built home. Upgraded features like tall windows, high ceilings & wood beams give a light, open, & welcoming feel. Tastefully appointed high-end finishes & fixtures throughout, this home meets every expectation, including main floor master with heated floors in bathroom. Peaceful outdoor living with covered patio, hot tub. Large detached garage/shop with RV door." 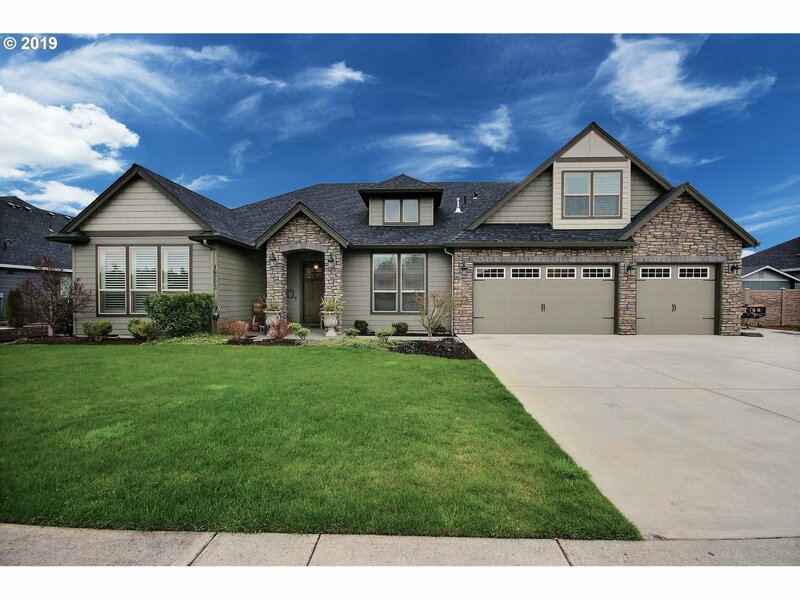 "Enjoy your own piece of heaven in rolling hills of highly desirable Hockinson. Flat, with slope to year round creek. Brand new exterior paint. Septic tank recently pumped. Sauna. Media room. Wood flooring. Huge shop. 20 min to PDX. Too many options to list. Check Home Features attachment. Possible adult care facility. Listing agent related to seller"
"Amazing custom home on 3.5 ac. You will love the vaulted ceiling, soaring entrance, open plan, 8ft pine doors, maple floors, master suite + real office on main. The spacious kitchen w/granite counter, custom cherry cabinet w/slow close, up/lower lighting. Lower lvl 2bed, bath, 2nd kit, 2nd laundry, w/ private entrance. Pole barn/shop concrete flr, RV parking, office, 1/2 bath + 5 stall lean-tos. Owner lic realtor. SEE MORE ON THE VIDEO"
"WOW shop and gorgeous outdoor area - a must see!Bring ALL the toys! 3000SF SHOP with plumbing and electrical for apartment above, 3 tall doors and more! Newly painted and beautifully maintained home has slate, hardwoods, granite, surround sound and many upgrades (see feature list).Mainly level acreage has beautiful plantings, an outdoor entertaining area with firepit, and extensive paving/landscaping. Open House 4/20 1-3pm"
"An exquisite custom home, offering unobstructed & jaw dropping views. Room for the whole family: 4 bedrooms + bonus room + weight room + guest house. The perfect multi-gen option home. Custom built cabinets & shelving, gourmet kitchen with seated island, viking stove & gas cook top. The perfect entertaining home,free flowing indoor to outdoor living spaces,level lot, koi pond & stamped concrete patio & view capturing wraparound porch." "Welcome to your forever home! 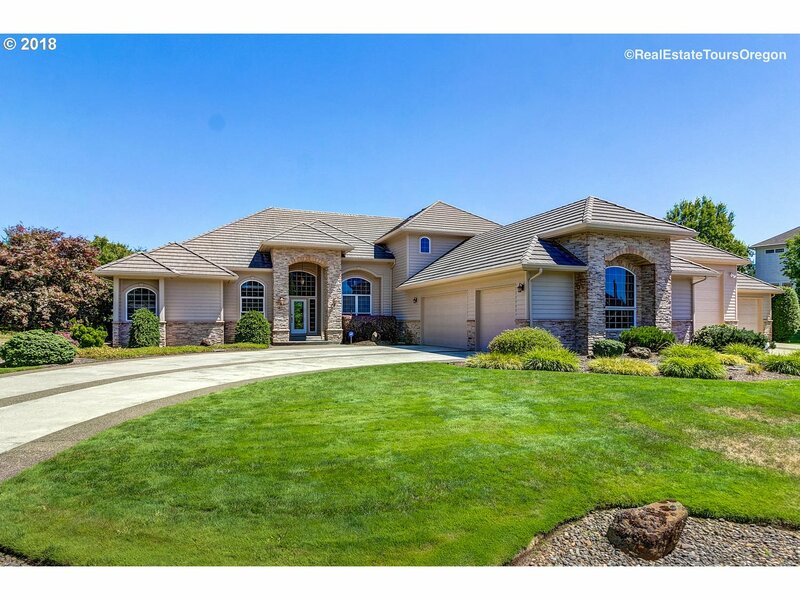 Easy 1 level living in gated Hawk Meadows neighborhood of Hockinson. 4 spacious bedrooms on 1 floor including master suite. Great room features gourmet kitchen w/ exceptional granite counters. Amazing outdoor access across back of house leading to expansive decks, in-ground pool & beautiful backyard. Ideal horse property w/ 5 pristine acres complete w/ 2 stall barn/shop, fenced flat pasture & paddock. A 10+"
"Best valued property in Brush Prairie. RC-1 zoning allows for 1 acre short plat on this 4.6 ac property.This is perfect for the construction trades, home business, doggy day care,and more. Multi-generational living. Property has 2 homes, main is 2168 sf,2nd 2009 Manufactured is 4 bed 1400 sf. #1 Shop 32X40, 2 bays, full storage on 2nd floor, plenty of work space. #2 shop 26X50, perfect for RV storage. Private setting, close in location." 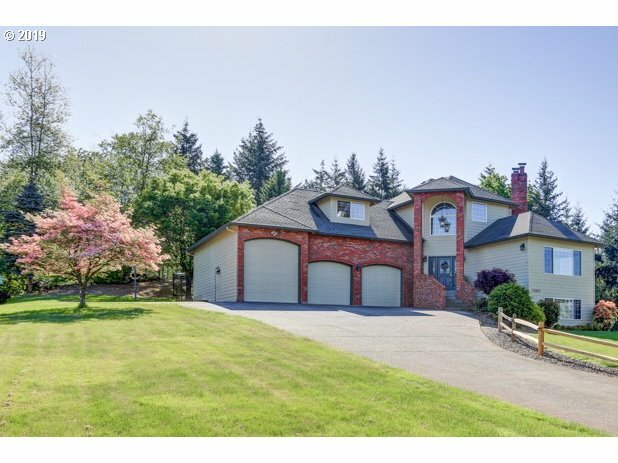 "Stunning custom built home on acreage minutes from highly rated Hockinson schools! Great room style floor plan w/vaulted ceilings, hardwood floors, large kitchen w/walk-in pantry & a covered patio for entertaining. Master on the main level w/luxurious bathroom & large walk-in closet. Whole home backup generator. Wired for CAT-6 + home theatre. Play structure & high end wi-fi hot tub stay! Ask your agent for a full feature/update list!" "Spacious custom home on 2.58 acres located in Valley View Estates, great room with panoramic views of valley and mountains with floor to ceiling rock fireplace and wood stove. The open kitchen has stainless steel appliances and cooking island, guest suite on main, hardwoods throughout, and large bonus/family room. Gracious outdoor living with custom stamped concrete patio featuring built in fire pit. Great Hockinson Schools." "Main level living with a full bedroom suite upstairs. This house is loaded with upgrades and like new! Pocket office located off of the den on the main floor. 10' ceilings, 8' doors, central vac, granite counters, double front door, custom closets, custom cabinets and so much more. 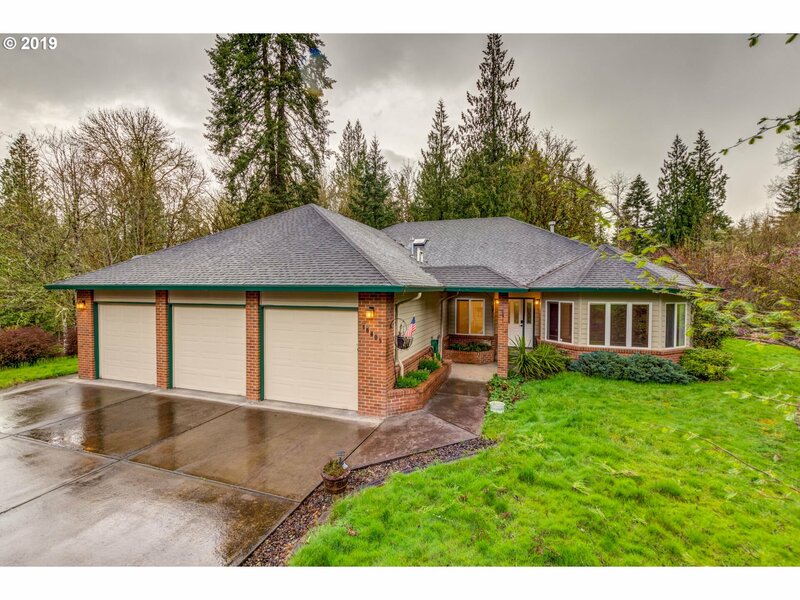 Located in Hockinson in a quiet gated community in a great location. Wetlands located behind the home for a great view for a long time to come." "Custom built. Situated on 1.26 level acres backing beautifully treed greenbelt with walking trails. Feels like a ranch. 2 master suites with private baths on main. Granite counters, ss appliances, eating bar, built-in oven & microwave. Surround sound speakers, tiled flooring, high ceilings, built-ins & central vac. 3 car garage with separate heated 2 Car/RV/Boat Garage. Both oversized. Watch wildlife on your covered timber tech deck." "Single Level home plan with open concept on 1+ acre! Premier finishes through out the home, 2 masonry fireplaces- INside and OUTside on covered patio! Great for relaxing & entertaining all year long!Excellent Schools, close to dog park many city conveniences, yet home in country quiet! Photos are similar, not actual. Builder is the recent winner of the Gold National Home Quality Award. Covered patio, room for shop or RV pad Permit ready"
"Views! 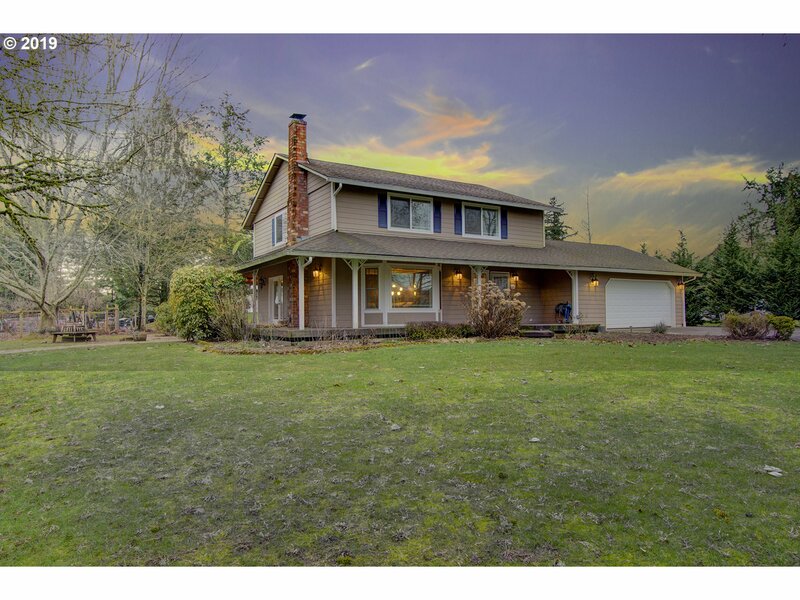 Enjoy the views of the valley and Portland lights from every level in this traditional home. Bonus space can be a theater room, game room, bunk room, or office! Finished downstairs is possible multi-generational living or apartment. RV garage w/electric car charger, huge indoor shop w/sink, tons of storage. NW living at its best with view deck,gazebo, potential wine cellar, water feature, a dog run & raised garden beds." "Clean and nice inside with features for Aging-In-Place. Space to entertain, 3 car garage, granite counter tops, adjacent to golf course is just a small list of all amenities." "One story custom home with tons of extras. Vaulted ceilings, arched doorways, huge island/eating bar, slab granite, SS appliances, double oven very open floorplan. Vaulted master, walk-in closet, dual sinks and jetted tub. 4 Bedrooms, Family Room, Den, Bonus Room and 3 bath. Tucked off of 182nd with privacy. Beautiful home!!" 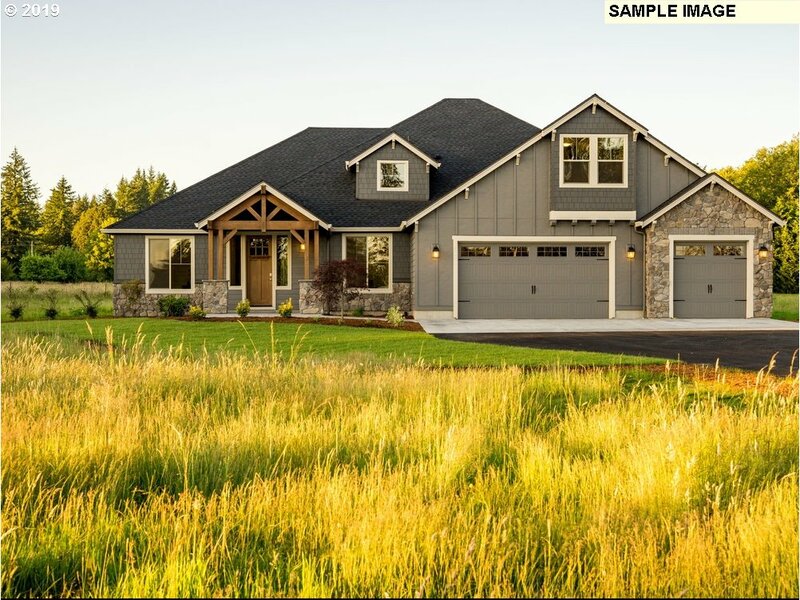 "Single Level home plan with open concept on 1+ acre! Make this your dream home in our 5000 SF Design Studio with professional designers. Excellent Schools, close to dog park and many city conveniences, yet home in country quiet! Photos are similar, not actual. Builder is the recent GOLD winner of the National Home Quality Award." "This charming, country home has a wrap-around porch, hot tub, and gazebo for entertaining! 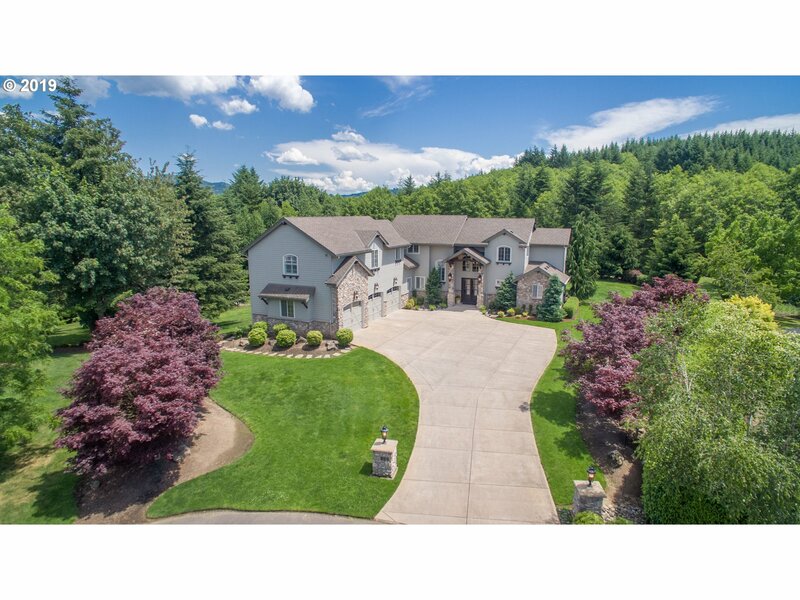 Nestled on nearly 6 acres, close-in, & in the coveted Hockinson Sch Dst. The hickory cabinetry, granite counters & walk-in pantry complete this lovely home. Perfect for horses/livestock. Chicken coop & large dog run stay! Lots of fruit trees & berries! 46X48 shop has 220V and ready for full bath & could possibly add an ADU." "Incredible potential in this huge custom built home situated in Meadow Hawk on 5 level acres. Features include approximately 5333 Sq Ft of living space, 6+ bedrooms, 4.1 bathrooms, 2 dens, hardwood floors, open kitchen, in ground pool, gated community, and a 2000 SQ FT 4-BAY shop W/deep RV Bay. Too much to list! Sold as isNeeds a lot of tlc mainly cosmetic(siding repair/paint/carpet/pool repair)will not go FHA/VA." "Beautifully maintained 2600 sq ft Cascade West build. Soaring ceilings with all the upgrades. Oversized kitchen island open to the living room with floor to ceiling windows that overlook the acerage. Covered back patio, professionally landscaped with sprinklers. Sought after Hockinson schools."